There is a cost for school support offered at Leagrave, as releasing staff and preparing sessions impacts on our provision. Please make enquiries via the online form below. Leagrave Primary School is located in the west of Luton and is in the top 10% or deprived schools across the country. It is an above average sized primary school with approximately 500 pupils and 70 staff. Under the direction of the Headteacher, Mrs Gillespie, the school has gone from strength to strength and recently received an Outstanding judgement from Ofsted. We believe that ability and attitude promotes results. If you want great results, you need great people with talent and a positive approach. We have established this at Leagrave and with excellent training we continue to build capacity for the future. Of course, creating this environment takes determination and resilience – it is not easy and we don’t pretend it is. We are a real school with real challenges, but if you are interested, we can offer you an insight into what works for us and may work for you. Our school improvement work is underpinned by our whole mission, ‘Striving for Excellence and Learning for Life’. We start from honest and accurate starting points, enabling us to work collaboratively and agree the right way forward to ensure excellence for all. We are driven by positive outcomes for pupils and nurture a culture of high aspirations in all areas of the curriculum. 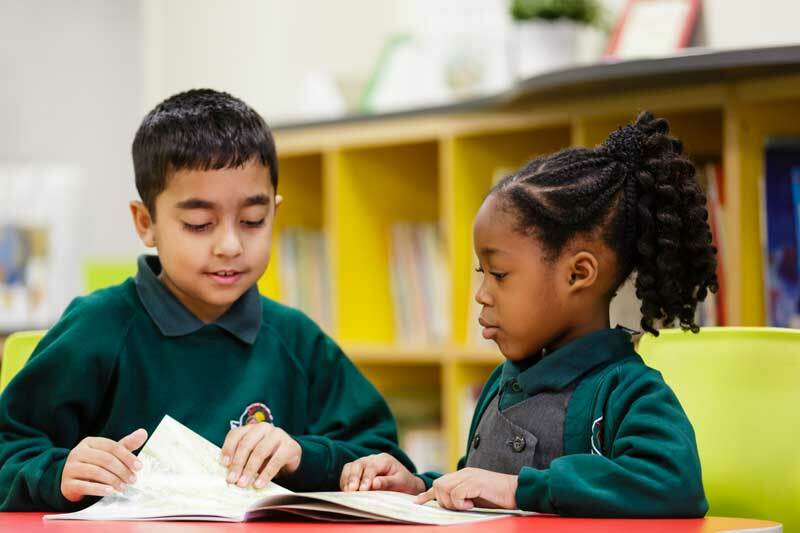 Our school ethos promotes high expectations of achievement and conduct, ensuring everything we do prepares children and staff for lifelong learning. Our school community believes ‘we can and we will’. If you are interested in any of the school improvement services we offer at Leagrave, please complete the enquiry form below. A member of the Senior Leadership Team will then be in contact to discuss your request and ensure that we have the expertise and capacity to support your needs. Once the booking has been agreed, your school will be invoiced and payment must be made within 14 days of the booking. At Leagrave Primary School we receive many requests each year to provide support and advice to other schools. We also receive a lot of requests for school visits and tours. To enable us to co-ordinate this support work, we kindly ask that all requests are made via our online form. We will always try to accommodate your date requests but please be advised that this is not always possible. Learning walks are charged at £55 (plus VAT) per person. There will be additional costs for any school improvement work. Any costings will be sent out to be agreed, prior to any support commencing. What are your favoured dates? Would you like your support to include an observation in one or more of our year groups? If yes, which year group would you like to observe teaching? * All fields marked with an asterix must be completed.